If you live in Vermont and you’re thinking that you’ve never seen so many ticks as you have this summer—you’re right. 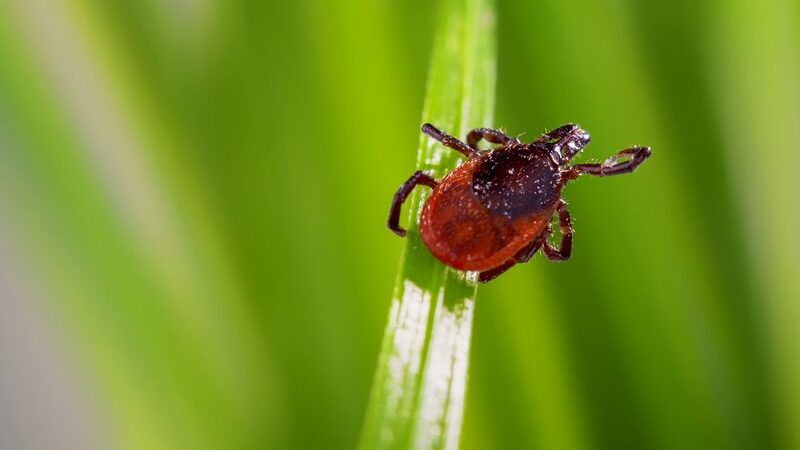 Assistant Professor of Biology David Allen and a cohort of student researchers have been studying why we’re seeing more ticks and what precautions we should take. Our colleagues in the Middlebury news room conducted an insightful Q&A on the subject with Allen. Local artist Joseph Schine ’03 has wrapped up six weeks of work painstakingly restoring Sabra Field’s grand mural “Cosmic Geometry” that was painted on the east façade of Wright Theater in 2010. Schine had access to Field’s 16 original prints that depict cellular, plant, animal, and architectural patterns derived from subjects ranging from the Duomo in Florence or the Pantheon in Rome to scales on a fish or the veins in a leaf. He did an exquisite job. Our friends over at the New England Review have released a new issue, and it contains some fantastic pieces—including a never-before-published essay by author and political theorist Hannah Arendt. Other highlights include fiction by Steve Almond and Castle Freeman, Jr. and poetry by Hai-Dang Phan and Gjertrud Schackenberg. Subscribe today!